Bogglo is creating a self-contained marketplace where college students can buy and sell their stuff to people they can actually trust. Bogglo is only accessible to other college students, so not only is there something of a built-in safety factor: chances are one college student may have (and can no longer use) what other college students needs, so why not make it easier, safer and more affordable to do the deal? That’s just what founder and CEO Andres Cohen did and of course there’s an app for it. We’re talking college students here. Tell us about the service. 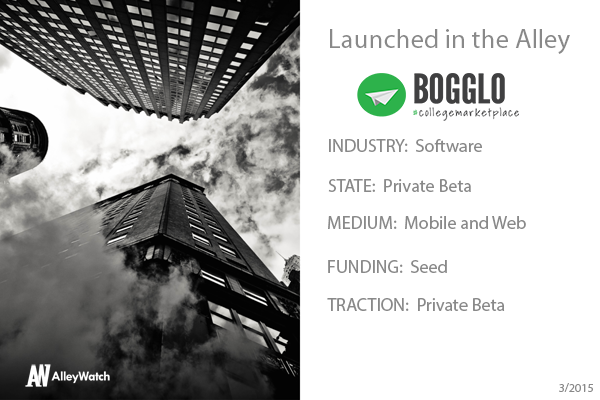 Bogglo allows college students to buy and sell to people they can actually trust. We are all about maintaining a safe network of people, affordable prices, online payment, free uploads and more. By streamlining the local marketplace experience through technology, Bogglo is making selling and buying used items a faster, more enjoyable experience. Bogglo has reinvented the local marketplace. No single service combines safety, security, and efficiency. We have made it possible for college students to buy or sell within a network they can trust, in the fastest and most secure way. Our service is curated for college students of which we have approximately 21 million in the United States. Bogglo is starting as a used goods marketplace, however, we plan to include more services and eventually become the nation’s ultimate resource for college students. 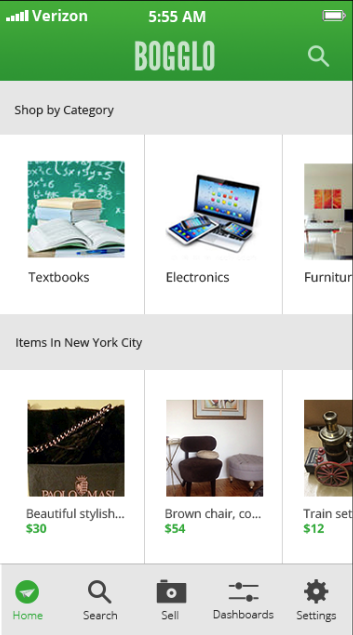 Bogglo is a free app, which allows sellers free uploads of items they want to sell.. After a transaction is completed, the buyer pays a small percentage-based transaction fee (14%). Why did you decide to go after the college market?What inspired the idea? The founder, Andres, experienced the frustration of trying to buy and sell used goods while still in college. There was no reliable platform that catered to the need that students have for safety and speed. That was all the incentive he needed to create a service which would provide the creep-free and streamlined experience that college students deserve. What is the oddest photo request that you have processed? Once we launch, we will be sure to tell you! We plan to launch our app (iOS and Android) in both New York and Boston. We would love to be put in touch with Fred Wilson from Union Square Ventures. The achievements of his portfolio companies demonstrates his ability to first spot the ideas destined to succeed and then bring them to the next level. In addition, we share the same passion for marketplaces. New York City is expensive. We plan to launch here so we can provide the city’s students with a more affordable way to buy things, and a fast way to make money off stuff they no longer need. What’s is your favorite part about being here in NYC? We really enjoy being a part of NYC’s burgeoning tech scene. There are so many talented people to meet and work with. Even the students here are very tech-centric, and keep up with the latest apps and technologies that are developing around them.